The restaurant was contemplating a menu change for long, and a few items from the new menu were showcased at a blogger meet. The new menu sees a bit of experimentation with fusion, where the restaurant has come out of its comfort zone. An example of this is Black Bean Hummus with Veggies. 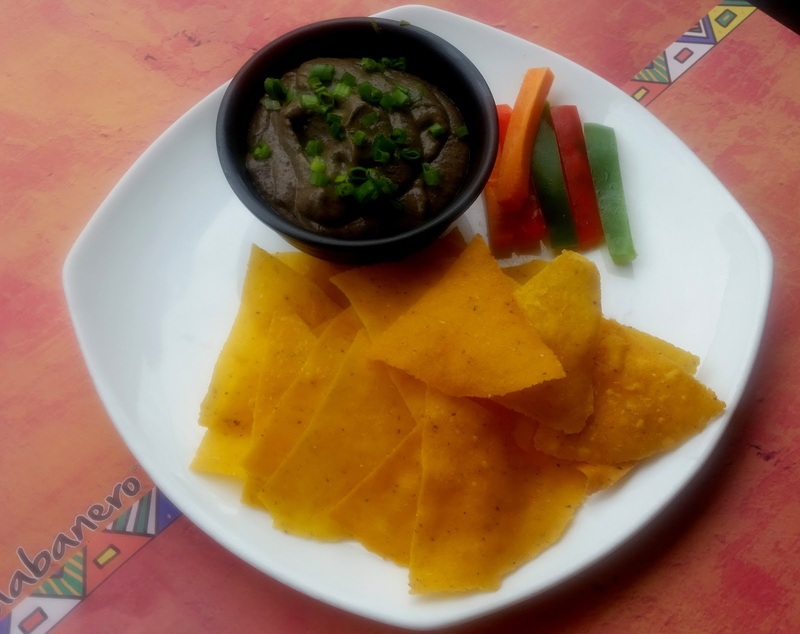 Habanero presented the favourite dip from the Middle East with a twist of using black bean as the main ingredient. I must say I quite liked the experiment and tried it out with the crisp nachos served with it. 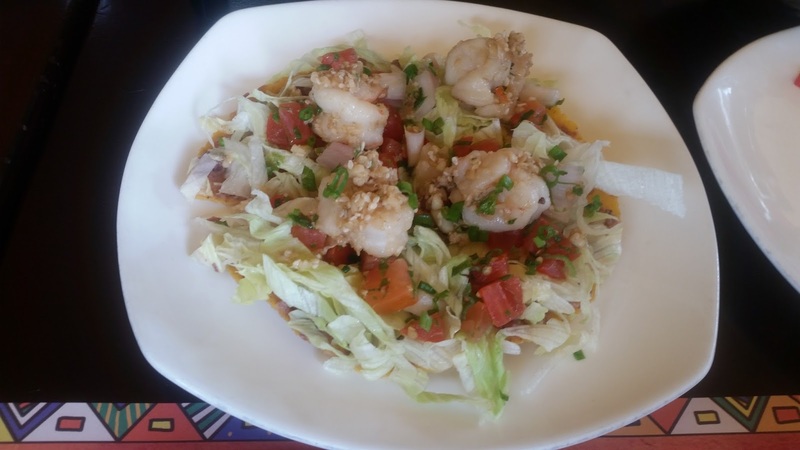 Sesame Lime Shrimp Tostada had fresh grilled shrimp in a lime based sauce over a bed of vegetables. The shrimps were nice and soft, but the dressing was inadequate to impart taste to the dish. 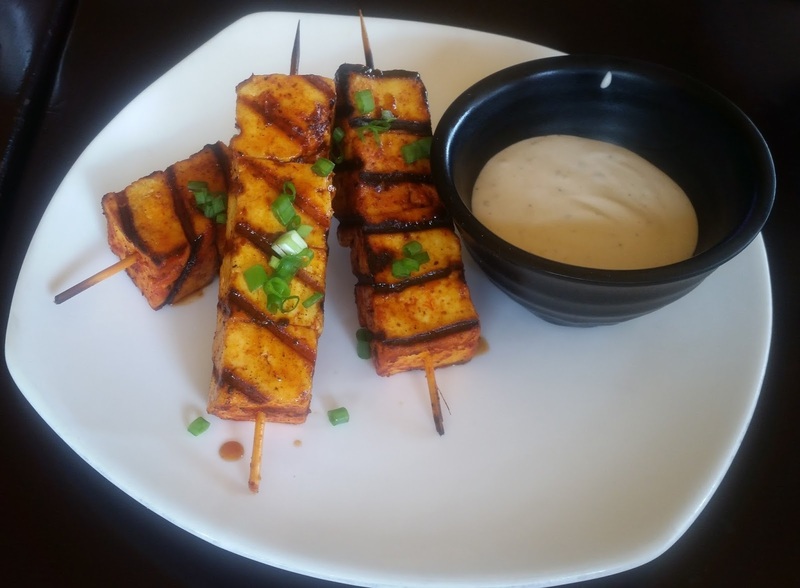 Grilled Chipotle Skewers were in two versions – paneer and chicken. 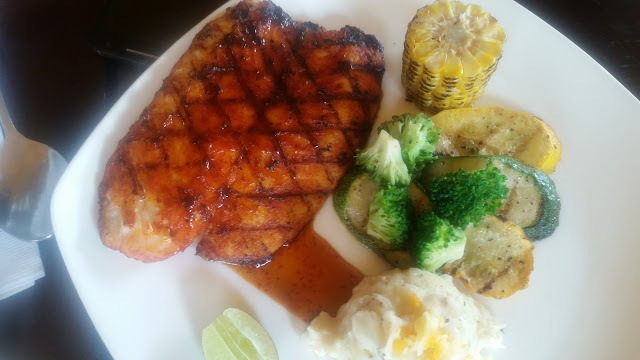 We tried the paneer version, and the spicy chipotle glaze on the paneer with a tangy taste was delicious. 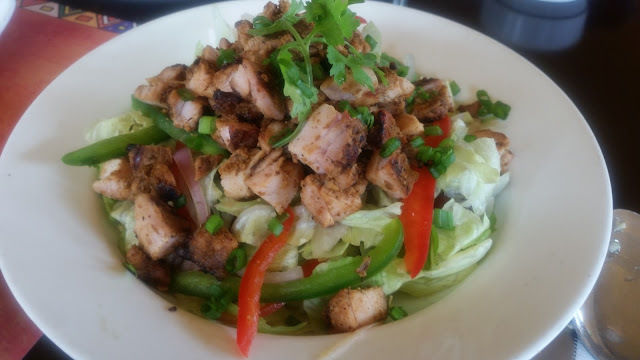 A salad with an Indian twist was the Raj Salad, which had shredded tandoori chicken on rajma, cucumber and lettuce. 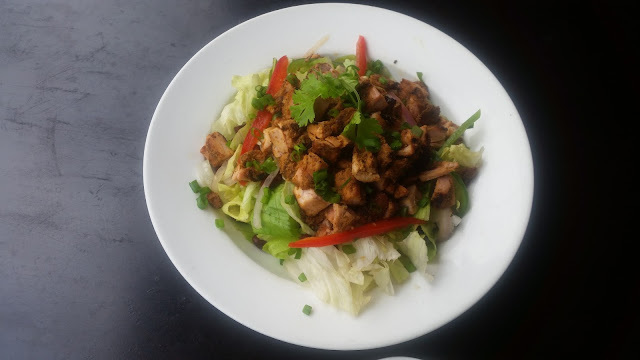 The tandoori masala on the chicken was mild and hence the Indian taste was hardly there. I like the idea of this dish, but to implement it well the flavours needed to be stronger. 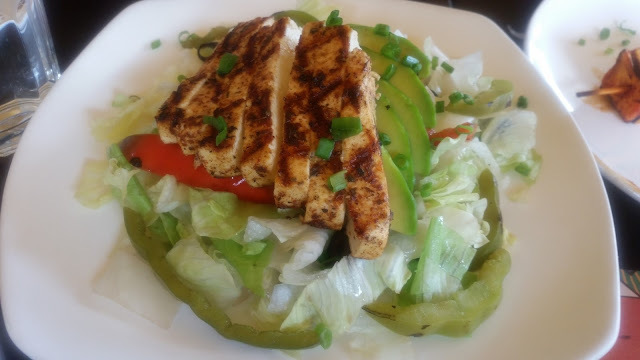 Fajita Salad with grilled chicken on a bed of veggies was the other salad served. The new menu has a choice of pizzas. For the vegetarians, there was Summer Veggie Pizza with capsicum, tomato and olives in a garlic based sauce. Fired up Grilled Pizza has grilled chicken topping with assorted vegetables. A number of burgers have also been introduced. Monterey Burger has fried chicken with the American Monterey Jack Cheese as the filling. A fish burger named Fish Sammy also attracted attention. A fusion product was the Chicken Breast Sandwich which had pudina sauce with tomato, lettuce and red capsicum in it. 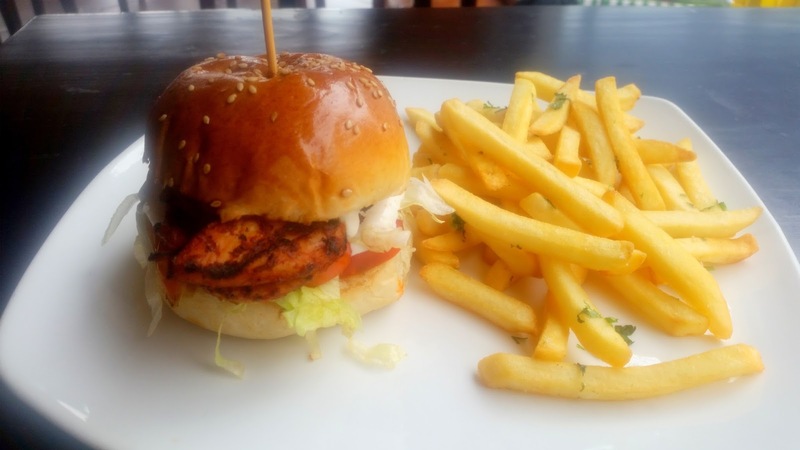 The Peri Peri Grill will be liked by the Hyderabad food lovers. It has a choice of fish, chicken or beef. The dish was styled very nicely and looked extremely inviting. The Grilled Seabass Wrapped in Banana leaf had a distinct taste and was possibly one the better dishes of the day. 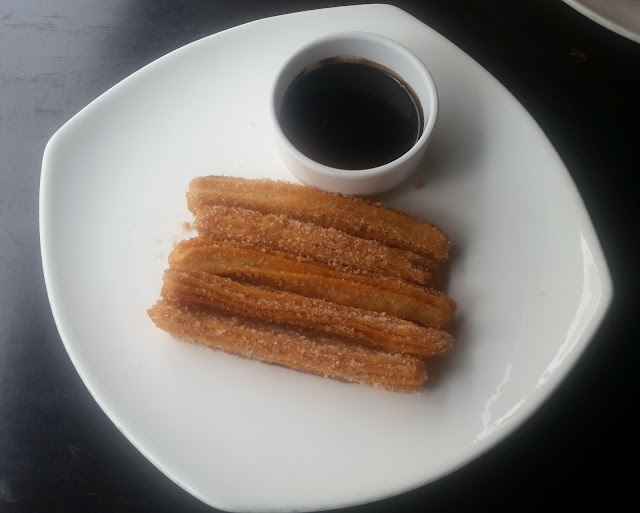 Among the desserts Churros (sugar rolled doughnut sticks) with chocolate sauce is a regular favourite at Habanero and it did not disappoint on this day either. 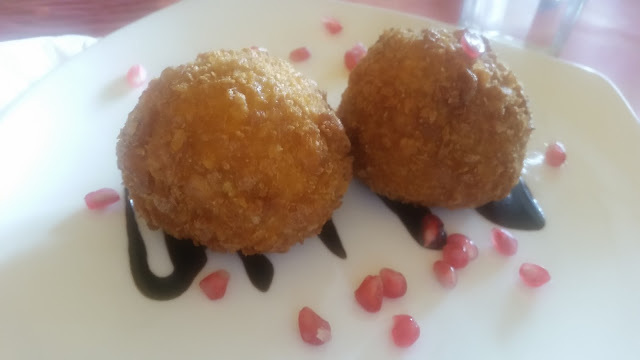 The Fried Ice Cream was decent but not extraordinary. The milk-based Tres Leches was a letdown with the milk being surprisingly sour. Service is one thing here which needs some attention. The wait staff needs to be more knowledgeable about the food, and more prompt on their feet. As it was the first look at the new menu, we provided them with constructive feedback which they promised to work on. I like the idea of bringing in a bit of global component in the menu, but I am not sure that puritans who look at this restaurant as one of the few Mexican restaurants in Hyderabad will like the idea. Maybe, going deeper with a few less familiar Mexican items on the menu could have been a good option too.